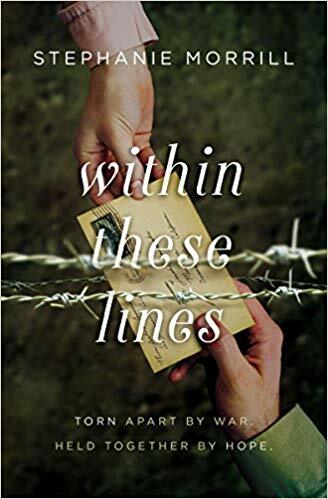 Within These Lines by Stephanie Morrill isn’t a WWII book per se but it does deal with one of the more horrific actions this country took during that time. I thank TLC Book Tours for sending me a copy at no charge for my honest review. Within These Lines is at its heart a love story. Not a conventional love story, but one nonetheless. Evalina is the daughter of Italian family and Taichi is second generation Japanese American. They are just starting to get to know one another when the Pearl Harbor attack happens. As any of us who know the horrible history of the internment of the Japanese immigrants and Japanese Americans during WWII will know what follows. Taichi and his family are “evacuated” to the Manzanar camp “for their safety.” I read these stories because I feel they need to be read because this history cannot be forgotten. This book is written for the YA audience and yet it held my interest quite well. The relationship between Evalina and Taichi was sweet and despite the hardships they had to overcome to be together in this time they persevered. Since it was written for the younger reader it was a little more simplistic in the plot and the overall sharing of the horrors of the internment camps but the point of removing people from everything they have simply due to their ethnicity comes through quite strongly. It’s a book that resonates with the current atmosphere in the country. It is a a good book to introduce the young adult reader to this sad period in history with a romantic plot. It will, I am sure, encourage them to further research the internment camps and hopefully it will never again happen here.